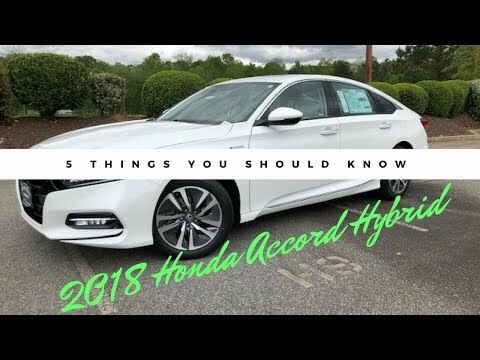 In this video, we showcase 5 things you may or may not know about the new 2018 Honda Accord Hybrid. 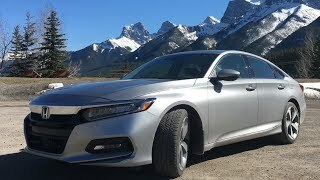 The 2018 Honda Accord Hybrid has just been released a month ago and offers a ton of new features that are worthy of being excited about. 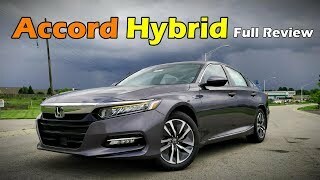 To see every feature the new 2018 Honda Accord Hybrid offers, visit the link below. The list of the 5 items I cover and the bonus item are also listed below. Don't forget to subscribe to my YouTube channel, follow me and like me on Facebook, Twitter, and Instagram. Instagram - bit.ly/philiplombardiinstagram NEW MERCH IS HERE! 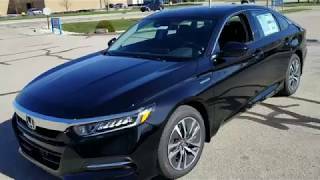 What's your favorite new feature of the new 2018 Honda Accord Hybrid? Actually itsmpegp46 didn’t get it quite right either. 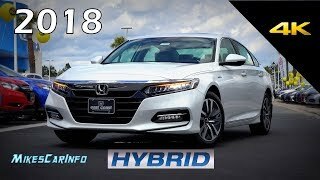 The 2018 Honda Hybrid doesn’t have a CVT transmission. It employs direct-drive gearing. 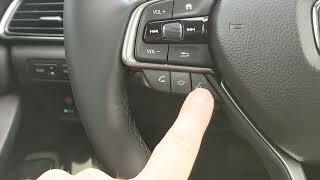 It uses an Electronic Continuously Variable Transmission - E-CVT. Though a E-CVT is also a form of automatic transmission, it is different from Continuously Variable Transmission (CVT). CVTs operate by using a metal belt or chain running between two pulleys and use hydraulic pressure for the belt to ride higher or lower. However, E-CVT does not use a belt or chain, it actually uses an electric motor/generator to control the planetary gearset components’ speeds. This lets the gear ratio to continuously change in order to keep the engine’s rpm in a “sweet spot.” Furthermore, this transmission type allows for a smooth, efficient ride from the hybrid system it is partnered with. 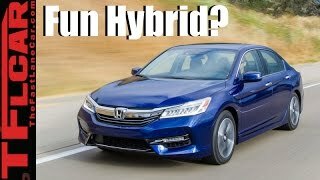 from car and driver : "Like the previous Accord hybrid, the new car revs high, groans, goes quiet, and shoots to high revs all over again like it’s packing a continuously variable automatic (CVT), despite the fact that this Honda doesn’t have a transmission at all (it employs direct-drive gearing). The Atkinson-cycle, port-injected 2.0-liter inline-four musters 143 horsepower and 129 lb-ft of torque to turn a generator, while a 181-hp electric motor provides most of the tractive force. Maximum combined output is 212 horsepower. Both powerplants can drive the front wheels independently or—when the throttle is matted at higher speeds—in concert. " 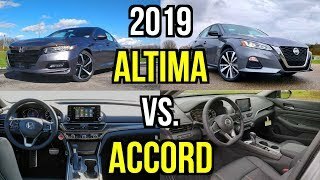 Nope you have it wrong, go to the Accord site and look up the "transmission" used and you will see no variable gear ratios, as the hybrid uses clutches to disengage each driving mode and each mode has a direct link to the drive wheels. there is no belt and there is no pulley system to vary the ratios. So in essence it is NOT a CVT. eCVT is different. 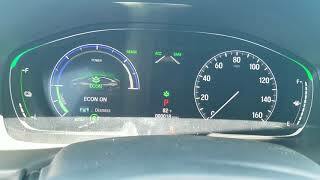 The heated seats and HUD are only on the EX-L model, no ? You forgot to Mention that you can fit an Actual Spare Tire on the Trunk of the Hybrid. That's a Big Plus. 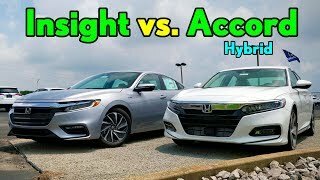 Do you know if there are any Major Differences between the 2018 and 2019 Accord Hybrids? 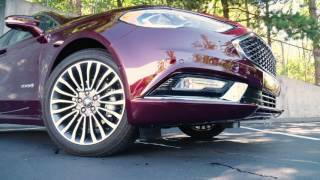 what trim level is the car ? EX ? EXL ? Touring ..? Adaptive Cruise Control is the best feature. I drive extremely slow. I’m taking to the dealer. +salvador mota New car? Easy on gas pedal and try to use some more regen mode. startrek889 it marked 450 today after I filled it up . Thanks for taking the time to make this video, nicely done! 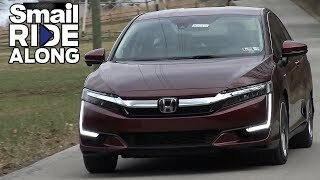 Yesterday my wife and I test drove the 2018 accord hybrid ex L, and the 2018 insight touring. 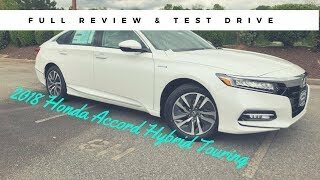 I found the accord amazingly comfortable to sit in, and the ride going down the road was awesome! It was firm, yet very soft. Kinda hard to explain. It cornered very nice, yet the suspension over terrible minnesota roads was world class. 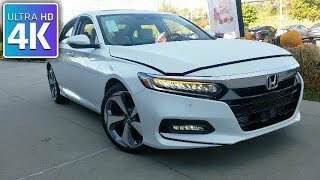 When my wife floored it, it didnt pin us back in the seat like her 2012 accord coupe V6, and the engine revved very high. Interestingly, I dont recall seeing a red line for too high of engine rpm"s. Maybe it's designed to be pinned for max power/high revs?? With it being a brand new car, when she floored it, the supplemental battery power wasnt fully charged, maybe half charged. So I'm thinking that was contributing to the car not launching better than it did. The regenerative battery braking steering wheel paddles is kinda cool, I was hitting the left one to slow the car down, however, I'm not sure what the point is of having the right paddle? Even the lowest trim level has some pretty nice touches, like alloy wheels. I do wonder if my wife will wreck the engine from flooring it, after she buys one. Maybe the engine is similar to a honda motorcycle engine, (and many others) where it is designed to be high revved. Coming in at 0-60 in 6.7 seconds, our test didnt seem to be anywhere near that, but again, could be from not having enough batt juice, and or, the engine is in break in mode, as it had only 3 miles on it. 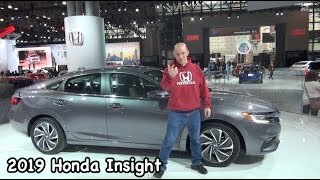 The insight was also comfy and nice, but it seemed to me the accord was more refined. I am curious if there will be any sweet "black friday" deals next week. 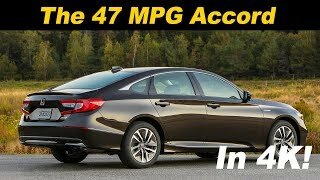 Msrp for a 2018 touring is 35,600, but we found better shaved off msrp prices for new accord hybrids on cars.com in our area, which we will see what they can do for a trade in. The car is alot of money, but I can see why, after driving one. For me it’s the cooled seats and the regen braking. Been in SUV’s my whole life so this is all new to me. The technology and safety features offered now are great! HUD can also show ACC and LKAS. And the front seats are not AC but ventilated with three blower settings. Is this the base model ot not? And Thank you for making this video!! Thanks! What is the 0-60 time for the 2018 Hybrid? Dealer to the wives: Your husbands just called. They said to buy any Accord you like. 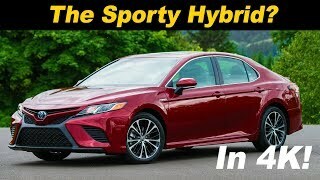 The 2018 has great new additions to the 2017, but the 2017 did have a sport mode in the hybrid. Your wife has great call timing. There is no spare tire! Unsafe. Pick one up at a junk yard for pretty cheap. Safe! Agreed, but fortunately you could put one in yourself. In my 2017 Accord Hybrid there's Sport mode and rear heated seats. im still debating whether or not a hybrid is for me. I dont put any miles on my car. I live less than a mile from work. 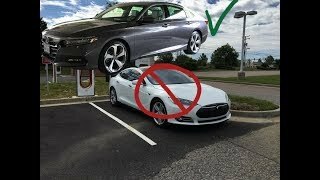 Do short trips kill hybrids ? 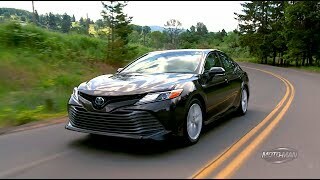 You will not benefit with a hybrid unless you drive a lot. Get a PHEV or full on EV. One mile of driving will not allow the battery to regenerate and the gas engine will constantly be running because it's attempting to charge the battery and assist the electric motor. If you only live less than a mile from work, you might as well just walk to work and save a lot of wear and tear on your car. Just get a low-cost used car for driving on the weekend to places. 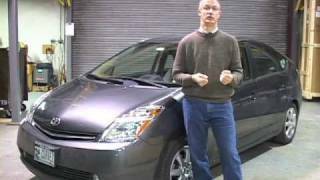 There are plenty of used Prius costing only a few thousands dollars to buy used, and they will last for a good long time to come. 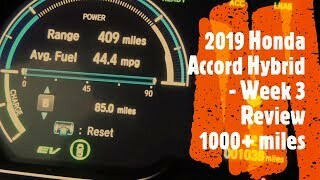 Sjrick Any used EV like Chevy bolt(238mile) or Nissan leaf(150mile) can do more than enough for you and a used EV can be really cheep to buy and run . Nice job on the video. Love the styling.